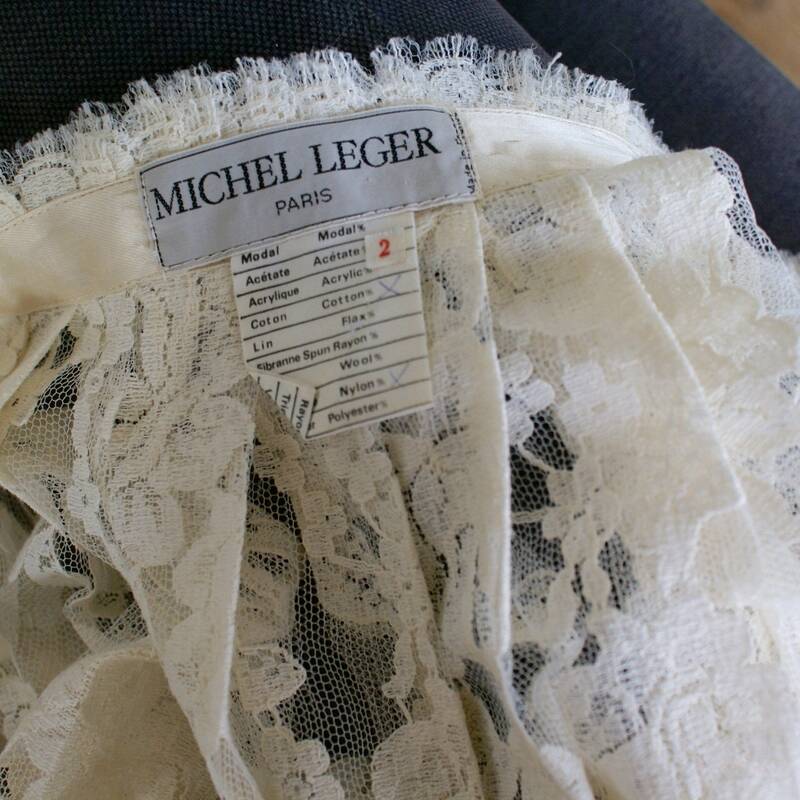 Michel light skirt gorgeous lace, fluid and light. It is worn piece with snaps to close. 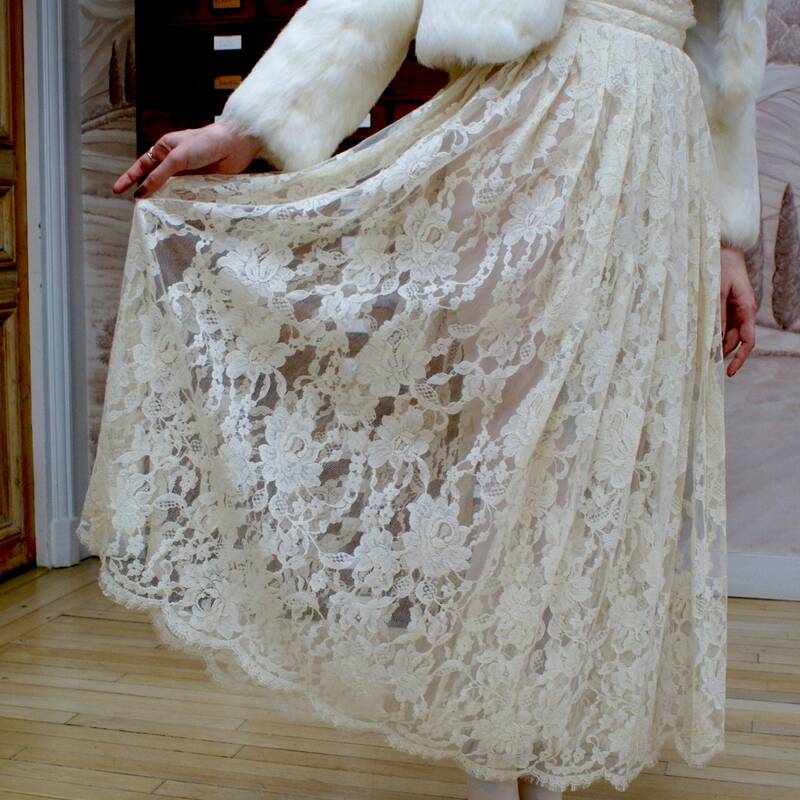 Can be considered for a wedding with a skirt or rock with a body allowing to perceive the silhouette. A very nice piece with fun for different occasions. Size 38 french. The lace is in very good condition, a snap on the inside has been enhanced. Romantic or rock!